A new television series aired this week. Adding to the plethora of shows about saving and fixing restaurants and bars, ‘Church Rescue’ features three church consultants who help local congregations improve their mission, build their flock, resurrect their mission and market, and find ways to improve their offering. Congregations and faith-based organizations are facing a storm of issues, not the least of which are the new economic realities of this 21st century. These changes feel scary and there’ll be a greater deal of turbulence to come, but the reality is pretty simple: the old, established world and worldview and, add to that, economy – an economy in many ways created with no small amount of blood, sweat and tears by visionaries like Henry Ford; the economy which led to the birth of an American middle class – is coming to an end.The world as we know it has shifted. And we are shifting with it. But we’re not alone. Take the Millenials, for instance, the generation of young adults who were born in the late 1980s and 90s. This first generation to come of age in the new millennium – hence their name – will also be the first generation in modern times to make less money than their parents. They’re not lazy or narcissistic, and it’s not that they’re ineffectual, having been coddled by their so-called ‘helicopter parents.’ It’s that what the institutional Christian church is dealing with now, as a first-world, not-for-profit, somewhat secularized institution, the members of this generation been dealing with their entire adult life. Ever since the early 1970s, since just before they were born, there’s been an increasing and encroaching wealth gap in America along with a fundamental stagnation, if not regression in the economy. Around that time, the mainline institutional church had already measured its high-water mark, being aware because their numbers were sliding downward. Here’s a thought: why don’t we, the church, learn from the members of the first generation that is, already, living into that new world, a situation, for them, that isn’t better or worse or changed but is pretty much reality? The Millenials know, firsthand, what economic stagnation and regression feels like. On the whole, they’re incredibly well-educated; after all, their parents told them that college and graduate degrees were key to success. But “the price of attending a public four-year college rose 54% from 1998 to 2008 while the typical American household earned less in 2008 than it did a decade earlier, adjusted for inflation [sources: College Board, Leonhardt]. Therefore, to pay for the education touted by parents, teachers and the government as critical to future success, millennials took on massive debt, a record-breaking $35,200 on average for each 2013 U.S. college graduate.” These young adults have also been hit hardest by the nation’s worse economic collapse since the Great Depression. Because those Baby Boomers who were thinking about retiring sometime in the first decade of the new millennium held on to their positions, being suddenly faced with diminishing nest-eggs, the debt-laden Millienials, who thought they could get a good job to pay off their student loans, found themselves facing huge unemployment or under-employment. The Millenials will earn less than their parents, according to the old economic model, but they are also the first generation in a long time to be engaged in creating a wholly new, substantially different world and, as a result, a newly ordered economy. That explains why, according to Roos, “their elders are less hopeful for them. Fifty-four percent of Americans over the age of 55 thought young people today were unlikely to have a better life than their parents, compared with 42% of those ages 18 to 34. Over the last two decades, people in their 50s and 60s have tended to be less upbeat about the chances of their children living as well as they do, according to data from the General Social Survey.” What the Millenials’ Baby Boom parents name pessimistically as loss is really just something they fundamentally cannot see. They can’t see that the old, ‘Fordian’ economy has passed away. They can’t see that, perhaps, such an economy is not the be-all and end-all of the world, itself, and they can’t see that something else, something creative, may very well be emerging out of the rubble heap of the old order. They can’t see that that something new is, in fact, emerging. 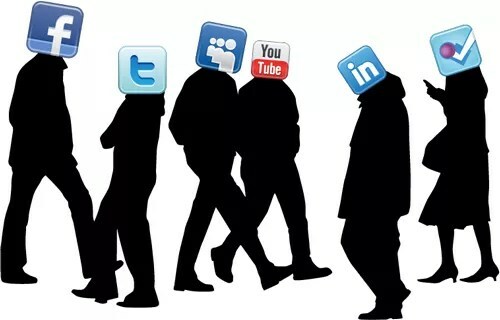 The world as we know it has shifted. And I want to step out here and say, in fact, God is in this change. The excitement embedded in the new ‘creative economy’, to borrow the compelling phrase from economist Richard Florida, and the ways in which social media is just the tip of the iceberg of these emergent voices is reason enough, for me, why their optimism holds real hope – real Christian hope – for our planet and society and, yes, for Christ’s church. For the first time in a long time, there are adults who know how to cross-pollinate ideas, how to truly collaborate without fear of ownership or sabotage, how to interact and ‘friend’ others – regardless of whether they work for the same company, went to the same school or share the same politics – and how to find a greater, common good and enter freely into relationships with people of different backgrounds, races, religions, traditions, and sexual orientations. You better believe this is going to change the church, the way the institution we created in modern memory and beefed up in very recent years operates and functions. You better believe that this will feel, to many, like unsteady turbulence. With those, we will be patient; for them, we will make space. But you’d be wise to believe that God is also in this: that the Creator actually intends to reconcile it all, one with another; that Christ who lived and loved as one of us actually wants the vast human family at His expansive table; that the Spirit which has been moving in our midst for this long actually meant to light this fire. It is hard, so very, very hard, to resurrect a worldview and, with it, to rebuild an economy. But what’s so hard is also so good, so very, very good because it takes the holy risk of vulnerability – risking to share, risking to believe that God is in the future, just as He’s been in the past, risking to be set free from all that once weighed you down. Anyone who’s ever served on a church search committee knows what I’m talking about. There’s such a gulf between our hopes, our expectations and the real qualities of real people who put their names forward. As Americans, we deal with the swell of expectation and inevitable dissapointment regularly — every four years, in fact. But we know in another four years we get to make a choice again. Churches are harder places for leadership shifts. In the church, we know we’ll be living with the consequence of our choice and, to be honest, living with what we didn’t know or expect at the time for a long, long time. That’s just it. We like to be in control. We are in control of a whole lot of things: what words we use, whether we tell our children we love them, what groceries we buy, whether we go the gym, how we spend our money, and who we associate with. And yet we are decidedly not in control of a number of other things: why bad things happen or, for that matter, why good things happen, why other people act the way they do, whatever happens in the stock market, and why we are unable to resist impulse buys in a checkout line. The question is how we deal. Some among us, the Type A’s, exert such profound control over the things they can manage they never have to deal with the things they can’t. Others write poetry or songs. Some drink, others buy things. Still others, most notably youngest children such as myself, don’t really give a hoot because we actually suspect someone else is in charge. And still others are brilliant conspiracy theorists, and here I’m thinking not only of Oliver Stone but the folks who produce FoxNews and MSNBC. We want to be in control and yet we know we’re not. We want to manage the big things and, to add insult to injury, we’re afraid we don’t know who’s in the back office and, even if we knew, we still couldn’t trust them. We are walking, talking contradictions. Our Lutheran friends have a great phrase for this: paradox, defined by Merriam-Webster as “a statement that is seemingly contradictory or opposed to common sense and yet is perhaps true.” That concept doesn’t solve anything (not for the Type A’s, at least) but it makes the conflict feel a bit more palatably holy. To me, it’s always seemed the healthiest, least dysfunctional, most honest stance to do what 12-steppers call Step One: admit it. Admit your human-ness, your frailty, powerlessness, lack of imagination, inability to control the future, and general anxiety about what’s coming next. The good news is that most of those who work in the institutional church, by and large, get this. Over the past several decades, we’ve started becoming honest. We’ve started to be unafraid of claiming our numerical decline, brokenness and powerlessness and laying that mess before God. A seminary professor once pointed out the irony that most churches house AA groups but treat them like tenants or, in some cases, nuisances. Too many churches, he remarked, fail to connect the transformative potential of 12-step spirituality to their actual functioning. Too many fail to see AA as a mission partner, maybe mission builder, not just a renter. (To be honest, the second “A” does have something to do with this.) Fortunately, over time, the institutional Christian church has become increasingly comfortable with admitting our powerlessness. Maybe being honest about, say, numerical decline is the first step towards actually seeking wisdom from a Higher Power. Bad news: this still comes as a shock to lots of people. It vexes search committees and stymies personnel decisions in too many churches. Too often, we call institutional managers instead of pastors or, at least, expect those we call to be patient managers even though we might actually need what William Willimon called in a recent Christian Century article “impatient instigators”. The 2005 papal transition highlighted this gulf, as well. 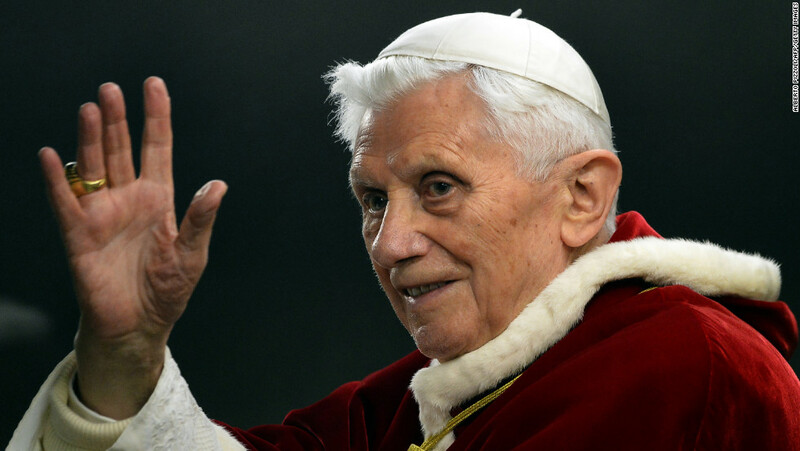 When the veritable definition of “institutional-manager”, Cardinal Ratzinger, became Benedict XVI, taking over after John Paul II, he not only followed a genuinely gregarious leader but — and this is no small point — took the reigns after his predecessor’s 27-year reign, over which time most of the world either became so comfortable with the ways J.P.2 filled the red shoes or, rather, never knew another Supreme Pontiff. That’s why Benedict is, today, Benedicto!, a true blessing not only to the church but to the world. He’s handing off leadership in a public way without the, um, advantage of dying in office — a quick trip to sainthood for anyone in the church. It is a blessing — benedicto! — to finally be honest, and not only that but publicly so. So let’s keep the spirit alive. Here’s the honest truth made public, church: most of those whom you call to lead these institutions have, through a long process of discernment, had to undergo fairly intense spiritual, emotional, psychological and, add to that, physical inspection and introspection, and we’re really serious about working on the inner life. We think there’s real value to doing that, and we also think it’s a blessing that people aren’t joining churches to get a job connection or “see and be seen”. Rather, we actually expect people who come to church to also want or at least want to want some intense spiritual and emotional introspection and hear a message about changing the way we live our lives. Now that we’re being honest, we also want to admit we’ve been afraid of a lot of you who want us to act as managers and fit your prototypes and expectations. We’re afraid of rocking the boat too much because (a) we don’t want to come across as meanies — though we have spiritual directors who help us deal with that — and (b) we’re all too painfully aware that no small number of folks think of church as nothing more than a voluntary organization, no different than the Elks Lodge, so if things change too much too quickly a number of you might just revoke your pledge. We’ve been unsteadily trying to re-frame the conversation and talk more about God’s mission. We’ve been afraid and sheepish. We haven’t been as clear as we need to be, but I think it’s time. I sense that it’s time. In my experience, I’m touched by the ways in which the yearning for honesty spills across generational lines. I’ve been pleased that most people genuinely come to church for spiritual, life-changing reasons. I also think we’ve sold ourselves short. For me, it’s been argued too often that Baby Boomers have an inability to talk about the stuff of real life — stuff which may involve brokenness or powerlessness — because they remember with fondness the stable institutions of their youth, and they’re trying to recreate their childhood. That’s just not true. Most members of the Baby Boom generation I know have watched their children and, now, grandchildren grow up in an changed world and they’ve come to terms with uncertainty, disorder, and suffering. It’s also the case that the Boomers who wish for the 1950s all over again have already left churches because they sense we’re serious about steering into the wind, and those who’ve remained in our congregations are already doing that profound inner work. It’s also been said too much that young people, today, don’t have a moral bone in their body or they’ve just put their faith in Apple products — not Jesus like previous generations did. Youth and young adults have quite penetrating faith in God, and they also have a great ability to see what’s really there. Many young adults are looking for congregations to take that Lord who turned over tables in the Temple quite seriously, and act in their lives and in our society as a voice of change — a voice which gets its power because it comes from the margins, not the center. They just don’t find as much meaning in potlucks and old-fashioned dinners as did previous generations. This gulf is being bridged day after day in most parish churches across our nation. It’s refreshing to see someone in her 80s sit down over coffee with someone in his 20s and talk openly, truthfully, and meaningfully about life’s ups and downs, a conversation in which neither party is offering advice or trying to fix anything, both there as companions on the way. This is good news, church. And it’s time to be honest, publicly honest, and celebrate the work we’ve been doing and which previous leaders have envisioned. It’s time to be a lot more bold about it, in fact, for if the Christian church can’t be the place in society in which people come from all walks of life and form community grounded in honesty and truth-telling, who will be? Benedicto!, Benedict XVI or Pope Emeritus or Cardinal Ratzinger or whatever we’re supposed to call you these days. Maybe, in the spirit of all this refreshing honesty, we’ll just get back to basics, and remember the only name God knows you by – Joseph. Well done. On 14 Nov. 1784, Samuel Seabury, an American, was consecrated as a bishop in Aberdeen, Scotland by three other bishops, making him the first American consecrated a (Anglican) bishop in the apostolic succession and historic episcopate and all that important stuff. It’s a big day for the Episcopal Church, as it was back then, and we mark it on our church calendars and celebrate it, maybe some of us with specially-baked purple cakes. All component pieces of American culture, obviously, had problems once the continental leadership declared revolution on the Mother Country. For the American priests and lay persons who worshipped in what was once called the Church of England – or most likely what they called, simply, ‘the church’ – there was not only an identity crisis but a real debate about the meaning and substance of church. Not all Americans supported the idea of revolution; most ardent supporters of the Crown left for Canada or across the pond, and many who remained began to reconsider their understanding of human civilization and the call of Jesus, alongside those who spoke with more political impact of the concepts of liberty and justice for all. But not all Americans were willing to re-consider the whole enterprise, nor were they willing to leave their home country and go elsewhere: Seabury, himself, served as a chaplain to British troops during the conflict, drew maps for His Majesty’s troops of the hill country of New York, and even collected a pension from Great Britain. Yes, it was marvelous that Seabury was made a bishop and, yes, it’s an important mark of our episcopal heritage that we not only maintain the historic three orders of ministry (bishops, priests, deacons) but we do so according to apostolic tradition and freely take on the weight of catholic Christianity. But I’m not so sure that bishops make a church. In the 1780s, as the Episcopal Church was reorganizing itself and, in fact, determining that it would use the name ‘Episcopal’ (coupled with ‘Protestant’) – the former, a term favored by the party in seventeenth-century England which affirmed the role of bishops – everyone thought that bishops were essential. Those who didn’t were already something else, and by the end of that decade Wesley and Asbury and the Methodists had broken ties with their own mother church. Everyone in the Episcopal Church was working to get American bishops consecrated. The only question, then, was what kind of ‘Anglican’ church would be imagined and planted on American soil: one which featured old world organizational theory (bishops at the top, clergy deployed from them, and lay people as recipients, hardly participants), or a more representative church which featured republican ideals and was democratically organized – a church which dared to uphold catholic practice and act like Americans, with that messy concept of democracy and collective discernment through representative gatherings. The latter had never before been developed and Seabury opposed it and worked very hard against it. Even though he and others from New England participated in early organizational conversations, they were inherently skeptical of the 1782 pamphlet produced by William White, a priest in Philadelphia, which seemed to argue, Seabury contended, for nothing more than congregational polity and gave too much power – most of which was reserved to bishops in the Church of England – to the laity. 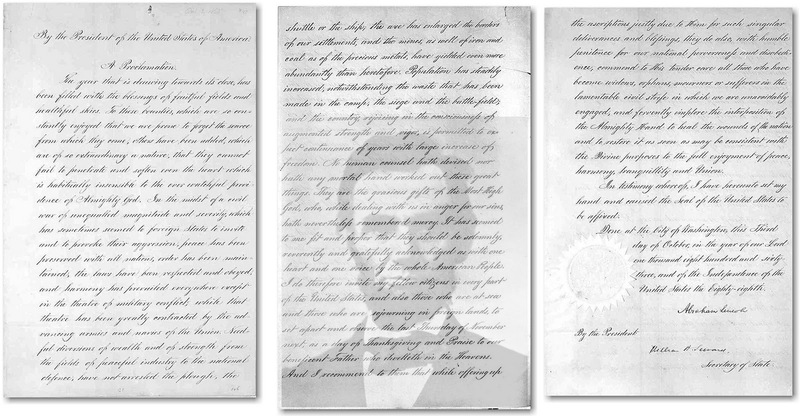 Once consecrated, Seabury refused to participate in the General Conventions organized by White and others. Further, he signed his early letters as ‘Bishop of All America’ and even reached into other dioceses’ territory and ordained priests from there. The organization of the Episcopal Church around something like a representative form of governance has much more to do with William White than Samuel Seabury. 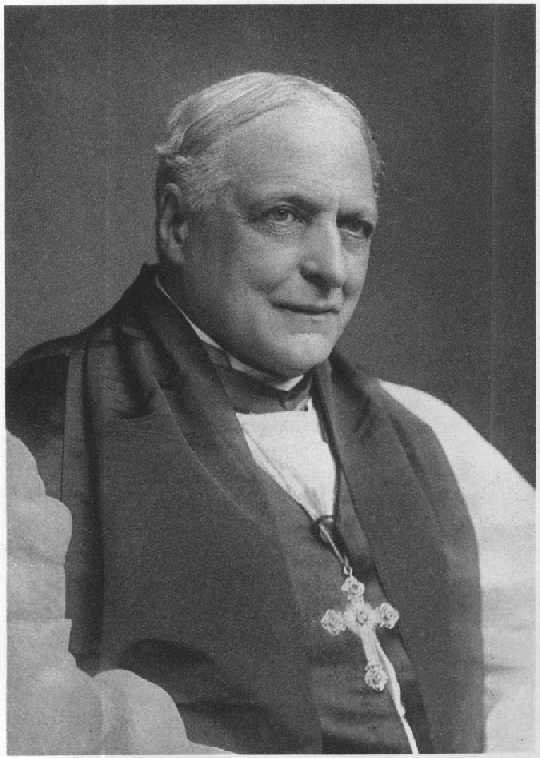 White pleaded with England for the consecration of bishops but – in the clear absence of a man in purple – he and others began to organize the church, anyway. They imagined a General Convention (initially proposed in 1784 as a unicameral body of clergy and lay) and dioceses that would adhere to state boundaries. They spoke openly of lay participation, and I think the Prayer Book’s 1979 addition of one more order of ministry – namely, the laity – is in perfect keeping with this early vision of an American Anglicanism. White and others proposed one bishop for each diocese and dreamed of an Episcopal Church that would be interdependent – one diocese to another, as well as one new American church to its Mother Church in England. Seabury, meanwhile, organized a clergy-led, bishop-centered, non-representative governance in his diocese. The bishop taught the clergy, the clergy taught the people, and the people did as they were told. Obviously, I’m biased and I’m sure that shows, so I’ll note, at least, that Seabury was affirming an age-old tradition of episcopal leadership and church organization, albeit (for me) an age-old tradition that had no relevance in the new world, neither the 18th century version nor, let me add, this 21st century edition. Things were getting heated, and the 1786 General Convention (which Seabury didn’t attend, anyway) passed resolutions denying the authority of Seabury’s consecration and, by implication, any clergy he ordained. By the middle-half of the 1780’s there were three competing Anglicanisms: one, the churches led by Seabury in New England; another, Wesley’s Methodist Episcopalians (who went their own way when he appointed Francis Asbury and Thomas Coke as superintendents in 1784); a third, led by White (PA), Samuel Provoost (NY), James Madison (VA), and Thomas Claggett (MD) in the southern and central states. Even though he had his own opinions about things it was, again, William White who paved the way for reunification and opened the compromise which led to the Episcopal Church we have today. In 1789, White – who was, in 1787, consecrated in the English line – led that year’s General Convention to reach out to Seabury: they affirmed the validity of Seabury’s orders, created a bi-cameral General Convention with a separate House of Bishops, and amended the 1786 Constitution to make lay Deputy participation optional. These things met most of Seabury’s objections. The olive branch being offered, Seabury began to conference, then, with the other bishops and the division between the northern and southern versions of the Episcopal Church began to be healed. Before his death in 1796, Seabury participated in one consecration – Claggett’s (MD) in 1792, the first consecration of an American bishop on American soil. I find myself hoping and praying, today, for someone like William White. I do this for at least two reasons. First, I’m drawn to those, like White, who are so comfortable with their traditions and heritage that they see no conflict, no irony in exploring new ways to be who they know themselves to be, already, in Christ. That’s courageous, to me, and I think the world is desperate to hear not pre-canned voices and opinions but people who love Jesus and follow him through the ministry of His Body, the church, of their own free volition and at the same time are entreprenuerial, adventurous, open to new possibilities, and talk openly of being disciples in new and, perhaps, different ways. And, second, I’m drawn to William White because he also set aside his own thinking and brought in Seabury, intentionally reaching out to a man who, according to many of White’s own friends and colleagues, was making too much noise, acting like a jerk, and was as arrogant as the day is long. White reached out to Seabury and encouraged others to do so, as well, and they even modified and amended their own belief system, established earlier, so as to make room for the one who was previously a contender, now a partner and brother in Christ. We have competing Anglicanisms today – just look at what’s going on in the Diocese of South Carolina – and yet I cannot, at the end of the day, establish with certainty that one is necessarily better or more righteous than another. No, I said that wrong: For those Anglicanisms who express themselves in generous conversations, commitment to a common life, mutual support of the whole through prayer and giving, and are unafraid to affirm their views, even if they may differ from the more vocal majority, I see no reason to part ways, and only great sadness if this should end up in divorce. But for those who say it’s ‘my way or the highway’ or those who think of democracy and shared discernment as weak or ineffectual, and those who think a church needs to have baseline agreement on issues of discipline and order, I am sad to say this but there isn’t communion there, already, and it would only make sense for us to go our separate way. Because at the end of the day I am proud to serve in a church that is not perfect – by no means – but one whose imperfections I can clearly love, and seek to live with. For the imperfections of the Episcopal Church are also our greatest blessing – a commitment to apostolic truth and order; catholic worship and substance; one another and those net yet amongst us; justice and the dignity of all persons; and the ways in which we work this out, in fear and trembling, by being the church, together. Bishops, then, were never the core of the issue, not historically, not today. Bishops convene and call forth and lead, through relationships of love and support, this disparate and wildly divergent group of people who follow Jesus in the Episcopal Way – forward in the work of ministry, which requires the participation of all the orders of ministry: bishops, priests, deacons, and lay people. One of the gifts of a faith-based community is that we have learned, given our unfortunate history of fighting, to go beyond divisive, partisan warfare. People of faith know that that’s a loser’s game.We are interested in building a community of people who are joined in the deep and meaningful questions of life. The Christian New Testament calls this the Body of Christ, and the earliest Christians saw themselves as precisely that, Christ’s Body in the world, gathering in His Name to support one another and heal humankind through prayer, unconditional love, hospitality and service. Today, most faith-based communities are more interested in improving the quality of your life and your family’s life than fighting doctrinal battles. I would dare say that the entire faith-based community of St. Mary’s County is praying, looking, and hoping for you.